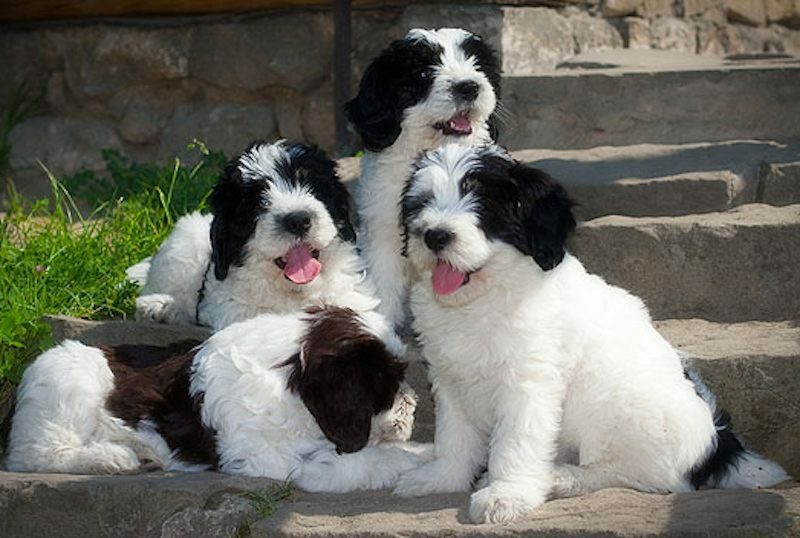 Polish Lowland Sheepdog or Polish Owczarek Nizinny (affectionately abbreviated as PON) is an ancient herding breed that has changed little over the centuries. 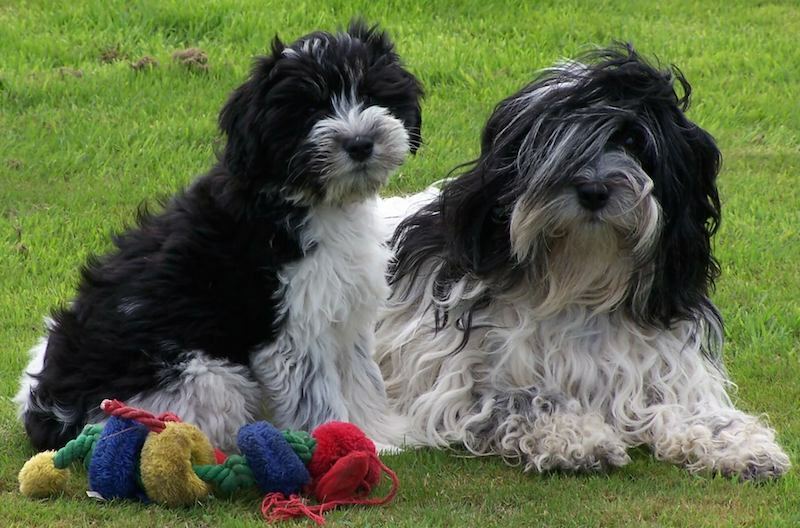 The lively and intelligent PON is believed to be one of the ancestors of the popular Bearded Collie. The breed was almost extinct following World War II but a dedicated Polish veterinarian, Dr. Danuta Hryniewicz, gathered up a few remaining dogs and set about rebuilding the breed. The Polish Lowland Sheepdog is a herding dog native to Poland bred from the ancient Puli and long-coated herding dogs of the Huns. Easy to handle, he works like a sheepdog and guard dog. Moved to urban city life, he is very good companion dog. 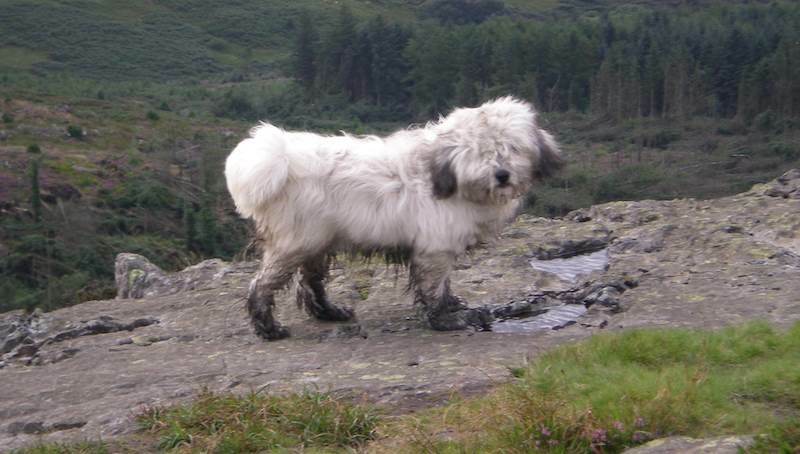 General Appearance: The Polish Lowland sheepdog is a dog of medium size, compact, strong, muscular, with a thick long coat. 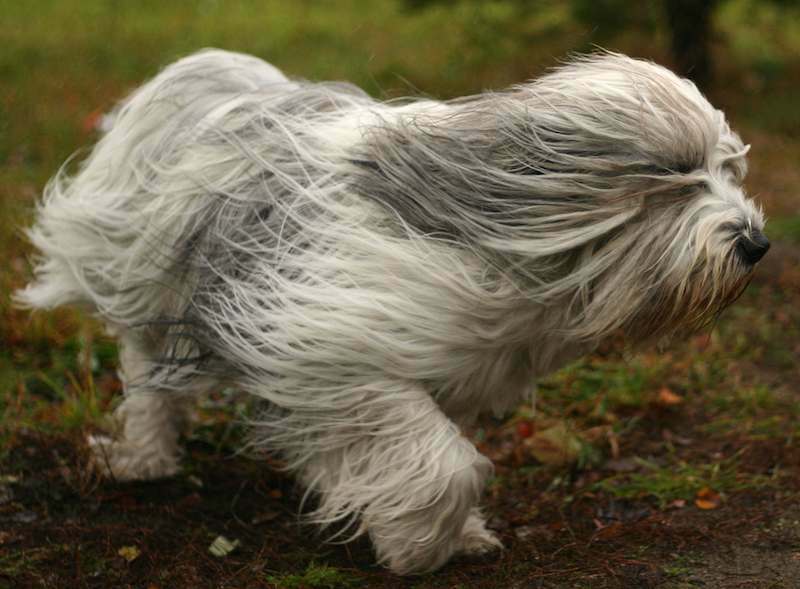 His well-groomed coat gives an attractive and interesting appearance. 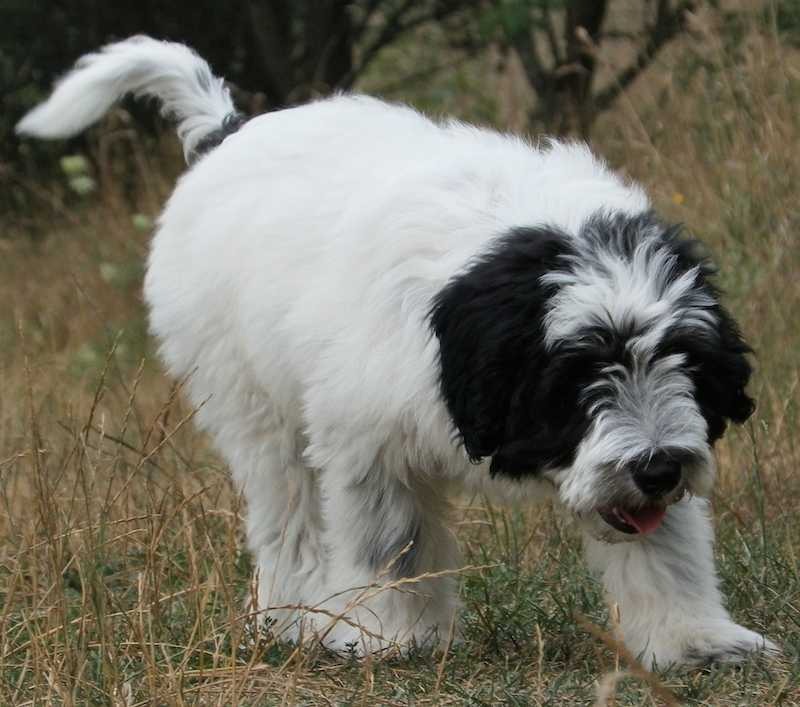 Polish Lowland sheepdog Temperament: Of a lively but tempered disposition, vigilant, agile, intelligent, perceptive and gifted with a good memory. Resistant to unfavourable climatic conditions. Size: Height at the withers: PON Males: 18-20 inches (45-50 cm) PON Females: 16-18 inches (42 – 47 cm). The dog must retain the type of a working dog; consequently his size must not go down below the breed standard; he must neither be too weak nor delicate. Important Proportions: The proportion of height at withers to length of body is 9:10. The ratio length of muzzle to length of skull is 1:1; yet the muzzle can be a little shorter. Hair: the whole body covered with coarse hair, dense, thick, and profuse; soft undercoat. Straight or slightly wavy hair is acceptable. The hairs falling from the forehead cover the eyes in a characteristic manner. Colour: All colours and patches are acceptable. Head: Medium dimension, proportional, not too heavy. The thick fur on the forehead, the cheeks and the chin give the head a look of being heavier than it really is. Skull: not excessively broad, slightly rounded. Frontal furrow and occipital protuberance noticeable. Stop: well accentuated. Nose: as dark as possible in relation to the colour of the coat with large nostrils. Muzzle: strong, blunt. Nasal bridge straight. Lips: fitting well; their edges are of the same colour as the nose. Jaw/Teeth: strong jaws. Teeth strong, with scissor or pincer bite. Eyes: medium size, oval, not protruding, hazel colour, with lively and piercing look. The rims of the eyelids are dark. Ears: hanging, set rather high, of medium size, heart-shaped, wide at base; the fore edge is close against the cheeks; very mobile. Neck: Of medium length, strong, muscled, without dewlap, carried rather horizontally. Forequarters: Seen in profile and from the front: Vertical and straight. Stance well balanced due to a strong skeleton (bone structure). Shoulders: broad, of medium length, oblique, clean cut, very muscular. Pastern: slightly slanting in relation to the forearm. Forefeet: oval, tight toes, slightly arched pads really hard. Nails short, as dark as possible. Body: Outline: rather rectangular than square. Withers: well accentuated. Back: flat, well muscled. Loin: broad, well fused. Croup: short, slightly truncated. Chest: deep, of medium width; ribs quite well sprung, neither flat nor barrel-shaped. Underline and Belly: outlining an elegant curve towards the hindquarters part. Hindquarters: Seen from behind: vertical, well angulated. Thigh: broad, well muscled. Hock: well developed. Hind feet: compact, oval shape. Tail: Short tail or stumpy-tail, very shortly docked tail. Undocked quite long and very hairy tail. At rest the tail is hanging; if the dog is alert, the tail is gaily curved over the back, never curled or lying on the back. Undocked tail of medium length, carried in different manners. Gait: Easy and ground covering. Walk or trot smooth (without much vertical displacement). The dog often ambles when he walks slowly.